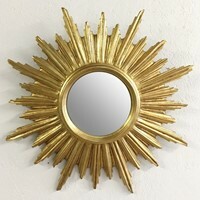 A 19th Century Gilt Brass Wall Mirror. 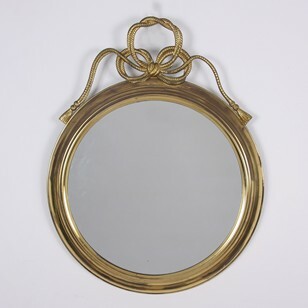 The gilted oval mirror with a spreading leaf pediment, the leaves gathered by a hanging ribbon. The frame cast with a profusion of wild flowers, leaves and berries, sweeping to the bottom, which is finished with a rounded cartouche surrounded by scrolling leaves and hanging flowers. Height 45 inches, width 26 1/2 inches, depth 2 3/4 inches.